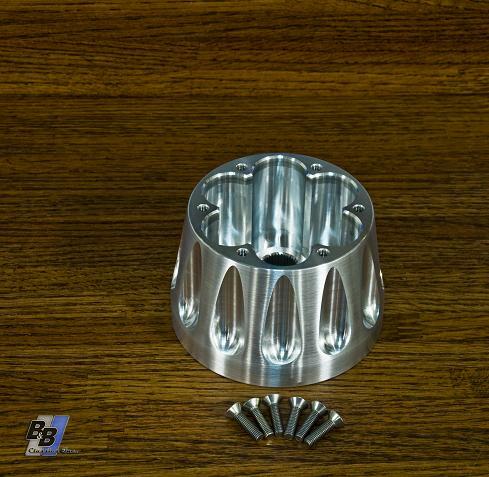 This is our new 6061 billet aluminum steering wheel adapter for Sparco/Momo bolt pattern steering wheels. They fit '69-'91 gm steering column shafts as well as ididit or flaming river columns with gm style shafts. . The correct M5 bolts to match the metric taper on the steering wheels are also supplied. The hub is 2.5" tall and is light weight at only 1lb 5oz.